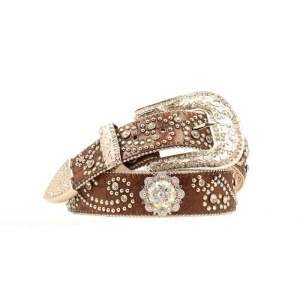 Brown Leather Croc Print Rhinestone Belt with Large Cowboy Buckle Set. Multiple rows of Rhinestones are shaped in patern forming hearts. Made of Genuine Leather with Round Silver Plated Conchos and White Cut Glass Crystals. 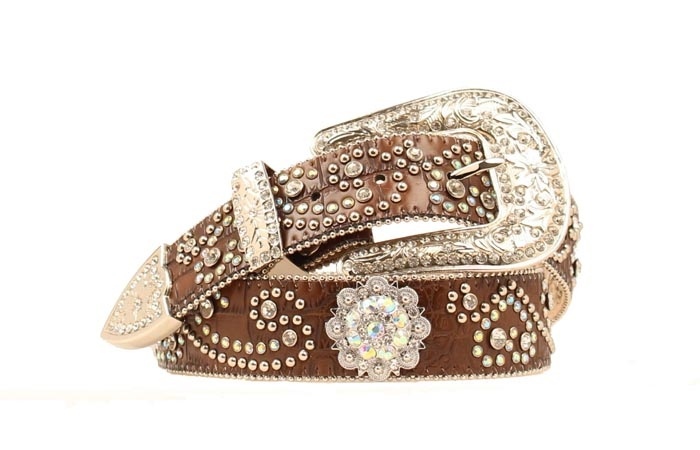 Silver Plated Cowboy Belt Buckle 3-Piece Buckle Set with Rhinestones is included.